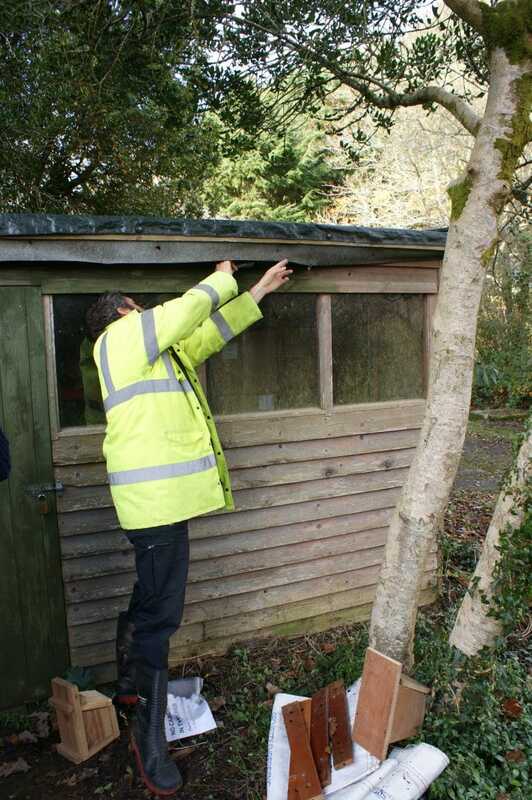 We had a bit of bat drama here last week at CEC – a member of staff from Cornwall Wildlife Trust was tasked to paint one of the sheds that we have here on site. Upon lifting the roofing membrane, two little Pipistrelle bats fell to the floor, another was hanging onto the membrane and another one was still tucked up underneath it. 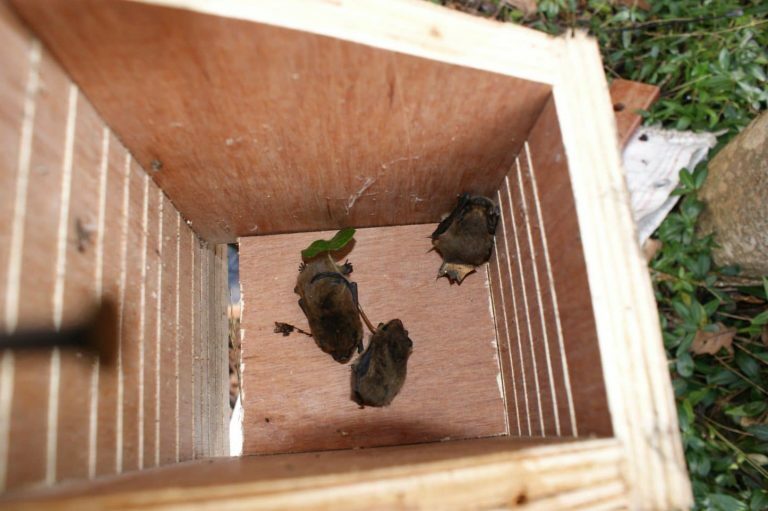 Luckily for us, we have licensed bat ecologists who could deal with them. 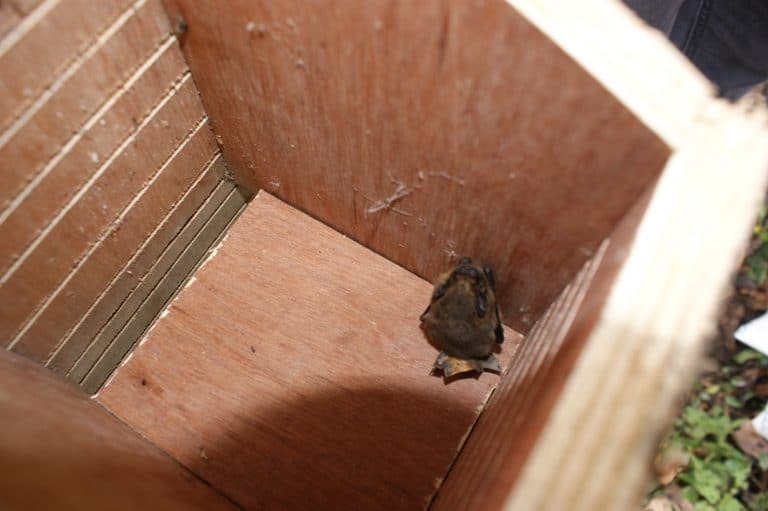 They were a bit dazed and confused (of course we would expect them to be hibernating at this time of year so they got a rather rude awakening) but we placed them in a bat box and hung the box right next to the shed. They might stay, they might not – the disturbance means they might decide to fly away and find elsewhere to go – we are surrounded by suitable habitat so this isn’t an issue. 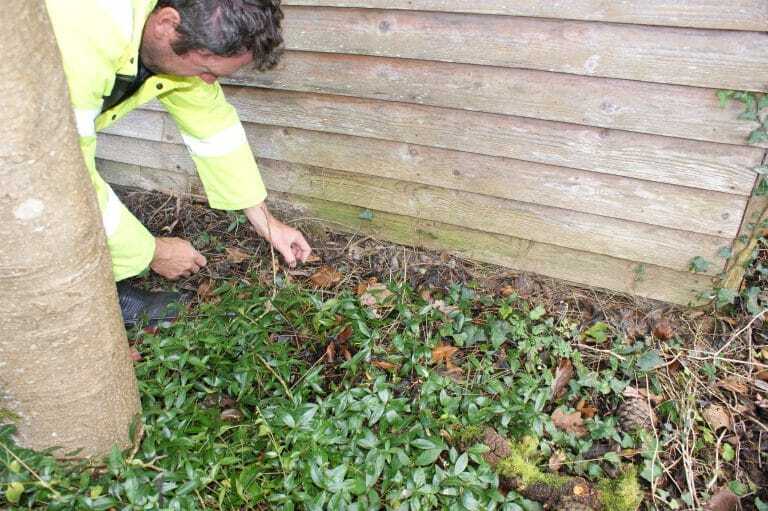 The member of staff of the Cornwall Wildlife Trust did exactly the right thing by stopping and coming over to our offices to find a licensed ecologist to handle them. It is quite incredible how tiny these little bats are when you see them in the flesh. Take a look at the first photo and see if you can spot where they have fallen on the floor – tricky isn’t it?? 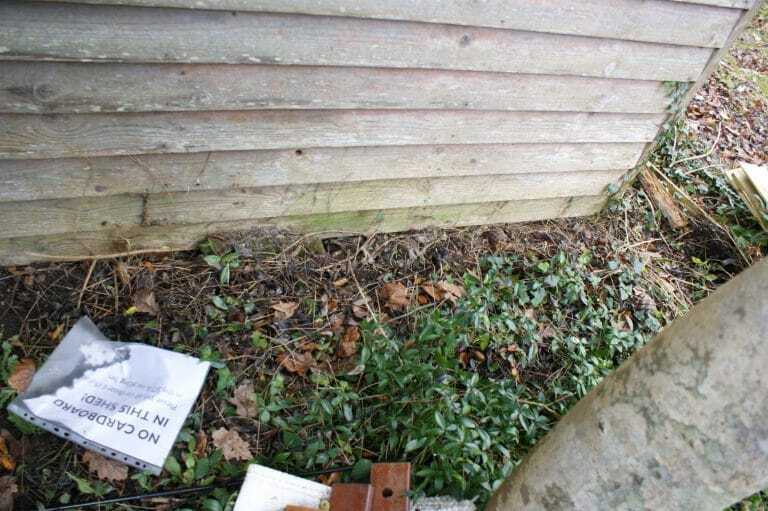 CEC undertakes all manner of bat work, including bat and barn owl surveys, bat activity surveys, bat emergence surveys, bat hibernation surveys plus European Protected Species Licenses which may be required for certain works. If you would like to know more about this area of our work please call us on 01872 245510 or click here. 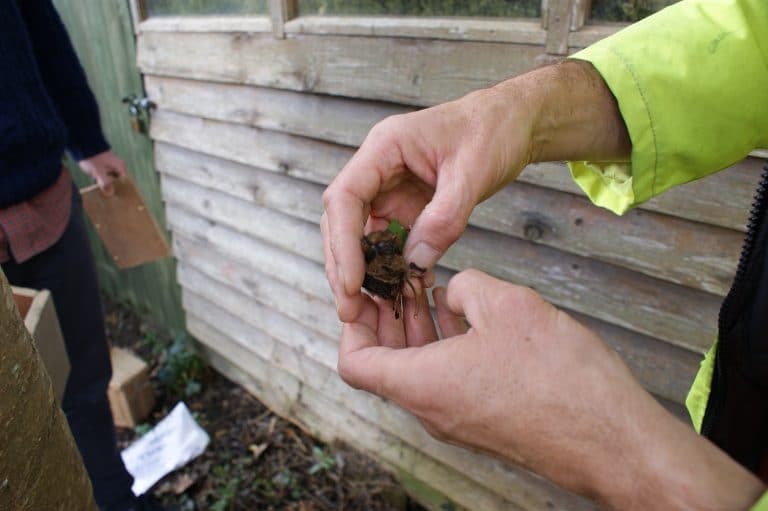 If you find an injured or grounded bat please call the Bat Conservation Trust 0345 1300 228. Steve checks there are no more bats hiding under the membrane. All clear!